Be an angel and create and establish a smashing influence on any person by carrying this blue colored floor length anarkali suit which is the latest trend among the all. This semi stitched suit is designed using georgette fabric having beautiful floral thread embroidery work with cold shoulder neck style as shown. 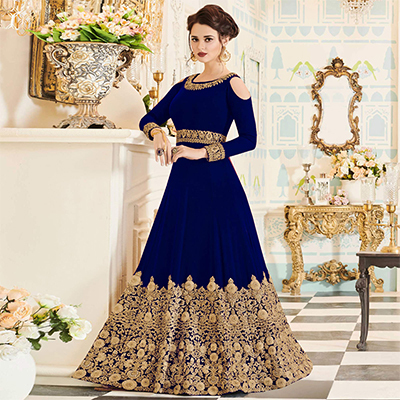 Paired with matching colored santoon bottom and inner along with chiffon dupatta. 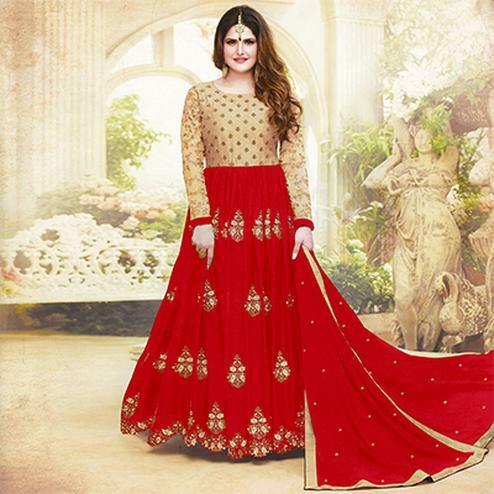 It's a perfect outfit to buy for wedding functions receptions and special occasions. Team it with ethnic accessories and high heels for a complete look.